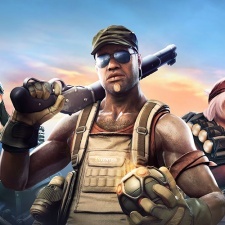 Free-to-play online shooter Dirty Bomb is becoming even more free than before. Developer Splash Damage has announced the removal of monetisation options from the project. This will be rolled out on Tuesday, January 15th. Furthermore, users that already have the RAD in-game currency will have that converted into credits. In addition, the earn rate on credit has more than doubled from 19 per minute to 50. Splash Damage announced in October 2018 that it was halting development on Dirty Bomb, saying that it couldn't financially justify continued work. The firm also announced that its CEO Paul Wedgwood would be leaving after 17 years at the helm in December, too. We caught up with Splash Damage in 2017 to see what it had learnt during its then four years of work on the project.